Wisdom of Life. 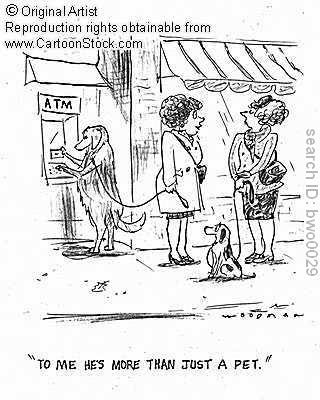 : Husband is not ATM machine!!!! A good friend sent me a text message. Please write in your blog. Husband is not ATM machine. That statement sounds negative to me. With some soul searching and pondering, I gathered a little of facts and understanding and wish to share them with this friend and the rest. To me, wives who don't work outside and strictly a full time housewife, it's the responsibility of the husbands to provide for the families entire financial needs then. However the current modern days when husbands & wives work together, it might be a bit different. Normally they share the family expenses or perhaps if the man earns more, he should be willing to part more for the family spending. My experiences in selling life insurance tells me that money is always the most sensitive issue in a family. What belongs to the women, its always remain to be for the women! Whereas what belongs to the men, are to be shared between the spouses themselves. I have not seen women who are willing to part all their savings for their men. As for me, a man should provide for the family, no matter whether his wife earns or not. A man should be proud to earn and spend on his family. Seeing his family lives comfortably and in style could possibly earn the respect from others. A happy family is a drawing attention and it creates an inner strength for the man to work and strive even harder. Finally to my dear friend there, who is reading my blog... "A successful man is one who could flower happiness endlessly to his wife. A successful man is one who allows his wife spends as much as she likes and yet he doesn't feel the pain". Some one said, when you have enough money to cater to your needs, its importance diminishes as a factor of happiness! Then the non money factor grows in importance. How many times have we seen money destroying families because the other ingredient is grossly lacking?? Is true my friend. After all to live in this materialistic world isn't easy in the first place. My belief is... to see a beautiful world one has to have a happy heart.